There is a new high-value $3 off Maybelline Mascara coupon that you won’t want to miss. 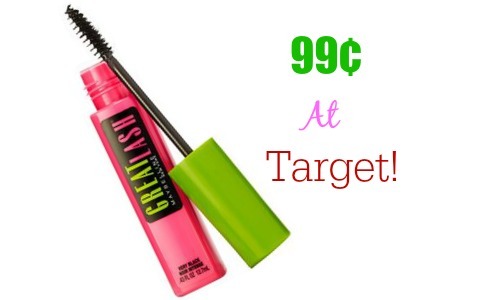 The Maybelline Great Lash Mascara is $3.99 at Target, so after this coupon, it makes it 99¢! Go ahead and stock up on this great mascara for under $1.